Mrs Mitcy Larue, the Health Minister has appointed the eleven new members of the Seychelles Medical and Dental Council. Young Dr Winnie Low-Wah wrote a paragraph of local medical history on Friday 16th October 2015, as she became one of the youngest doctors ever to be voted to serve on the Seychelles Medical and Dental Council, a body usually composed almost exclusively of seasoned members of the profession. “I vow to do my best despite my inexperience,” she stated to the group of doctors who had votrd her in. It had been apparent for some days that the young doctors (below 35 years) who are slowly becoming the bulk of the medical and dental profession and a force to reckon with, wanted one of their own to be their voice on the Council. And they did not disappoint. 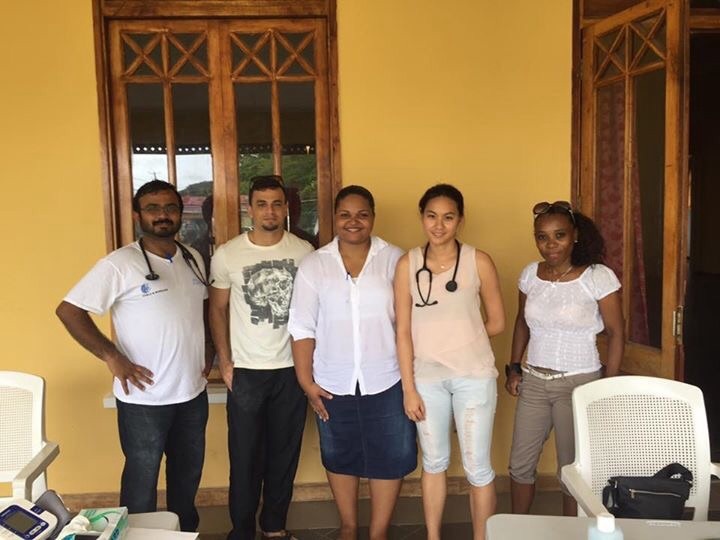 Young doctors at Seychelles Hospital – increasingly the engine of the health system. 52 doctors and 20 dentists in total turned up for the elections that were organized with the highest degree of professionalism. The following doctors and dentists were nominated by elections to serve on the next Council. 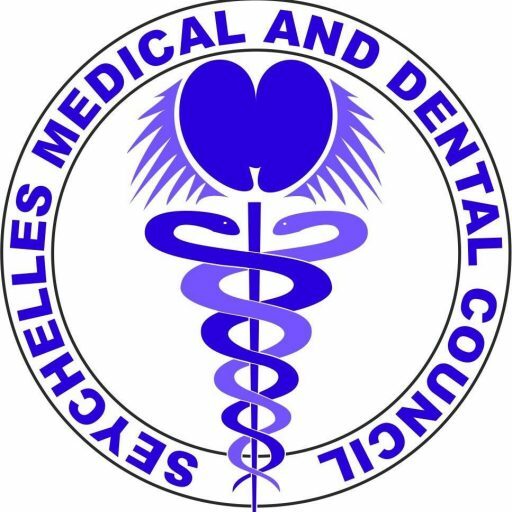 The Term of Office of the current members of the Seychelles Medical and Dental Council ends on the 22nd November 2015. The 11 Members of the Council, including the five nominated today, are formally appointed to the Council by the Minister responsible for health. The following regulations are being considered for implementation by the Seychelles Medical and Dental Council. These draft regulations are not yet in force. The Seychelles Medical and Dental Council is to publish its own peer-reviewed journal as from April 2015. Named Journal of Medicine, Dentistry and Public Health, it will be published every four months. The announcement has been made by the Chairman of SMDC, Dr Bernard Valentin, in a tweet published on Tuesday, 17th February. “It will be a different kind of journal,” said Dr Valentin in an e-mail to this website. 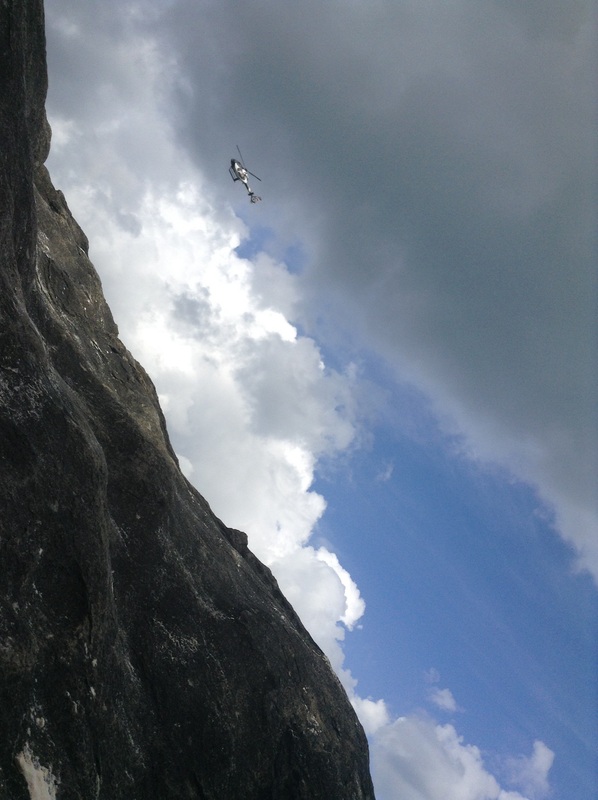 The journal expects to fill a void in the health publication landscape in Seychelles. The only other journal of this kind, the Seychelles Medical and Dental Journal has stopped publication since its last edition in 2003. 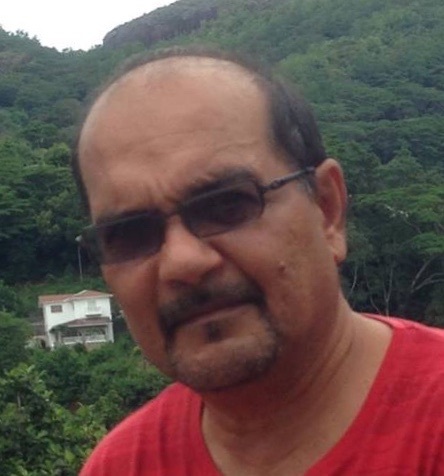 That journal still remains the property of the Seychelles Medical and Dental Association. The logo of SMDC depicts the coco-de-mer, (the largest nut in the World and found only in Seychelles), cut in cross-section and sitting on part of the leaf of the coco-de-mer tree. It also depicts a unique and loose interpretation of the Rod or the Staff of Asclepius the symbol of healing. The two snakes around the staff bear some resemblance to the Caduceus but they are not meant to depict the Caduceus. One of the snakes is deliberately of a different blue colour. SMDC regulates both the medical and dental professions and the two slightly different and yet similar snakes around the staff are meant to represent these two professions. The logo was put together by designer Henry Bastienne and adopted by the Board on 28th November 2014. This entry was posted in News Updates and tagged SMDC LOGO. At a one of a kind social gathering held at the Medent Clinic in Victoria, Mahe in the evening of Thursday 6th November 2014, some thirty select medical, dental, legal, pharmaceutical, insurance and other professionals together with patients and some elements of the media, stood up to discuss the state of health care quality in Seychelles and how it might be better regulated. The event was organized by Dr Jose Souyave, a Seychellois private dental practitioner working in United Kingdom, to celebrate twenty years of the existence of his dental practice, Medent Clinic. Topics broached during discussions included accounts of how the medical and dental professions are regulated in United Kingdom and the efforts underway in Seychelles to move closer to the ideal regulatory framework for this country. Those who spoke at the gathering included Dr Souyave, Dr Gavin Gill, Dr Guy Ah-Moye, Dr Bernard Valentin, Dr Conrad Shamlaye, Mr Ralph Volcere, Mr Daniel Belle, Mr Eddie Micock, Mr Behram of Behram Pharmacy fame amongst many others. The gathering also heard passionate views by some members of the public who had been aggrieved in the past by some medical care decisions. Those members of the public demanded more protection of the patients from eventual medical or dental malpractices. 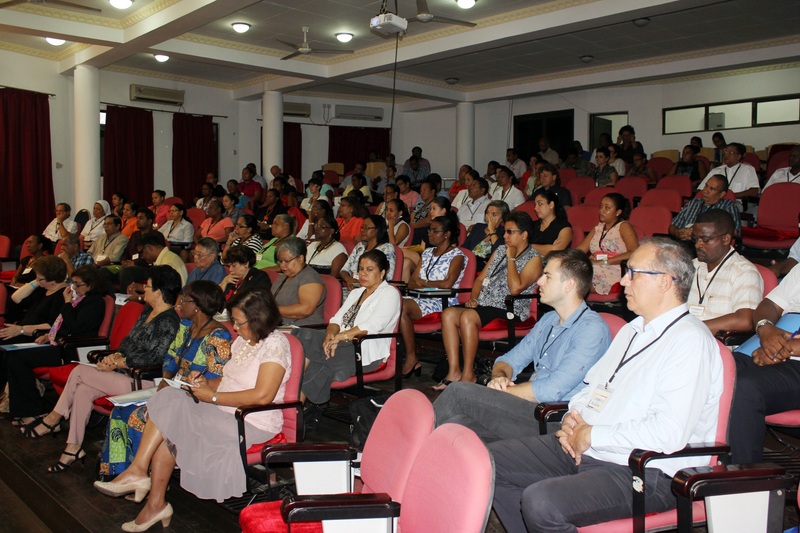 There appeared to be a consensus that the legal system could contribute to improving care quality in Seychelles if patients and their lawyers were more systematic in demanding greater accountability from care givers. Also present at the gathering were other eminent members of the local community such as Bishops Wong and Chang Him. 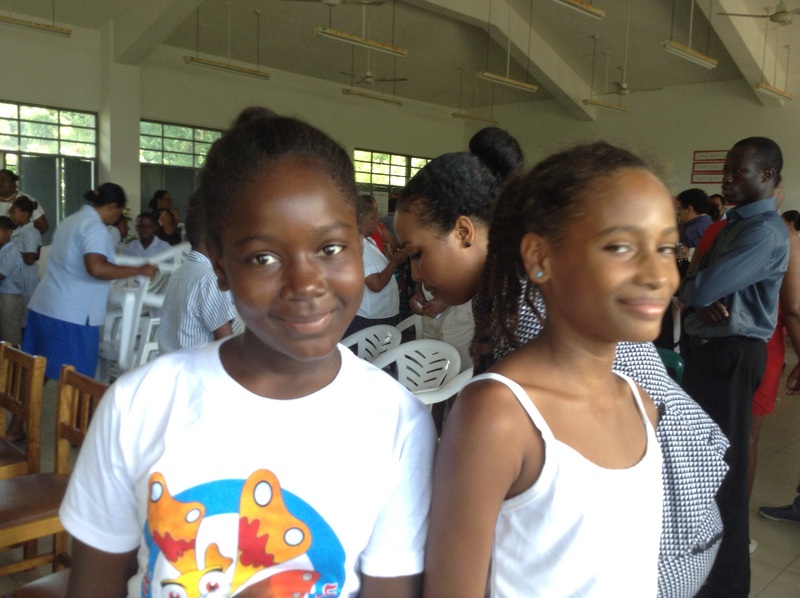 They spoke eloquently about the spiritual dimensions of care. This entry was posted in News Updates and tagged Bishop Chang Him, Jose Souyave, Medent, Seychelles Medical and Dental Council.